BEST IMPORTER, JUST LET IT DO YOUR TASK WHILE YOU REST. WordPress import XML? Our product can import any kind of CSV or XML to WordPress. TRY FREE VERSION BUY NOW! Best Import is a simple tool created to save your time. 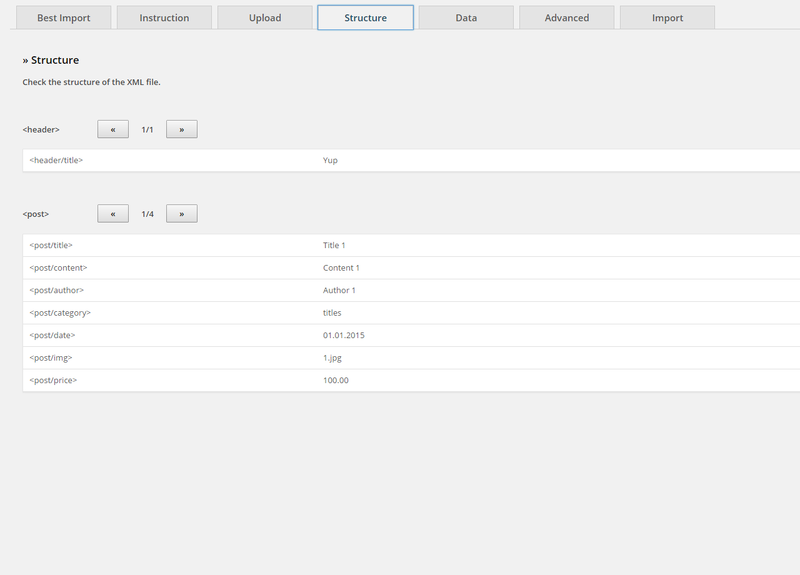 It makes your complicated import tasks fast and simple. It is both easy to use and advanced. It can import any kind of XML, CSV or ZIP file. You can use it for building a real estate portal, commercial store and everywhere you have to migrate the data from a legacy CMS to WordPress. More than 8000 people have already used our plugin - wordpress import XML! 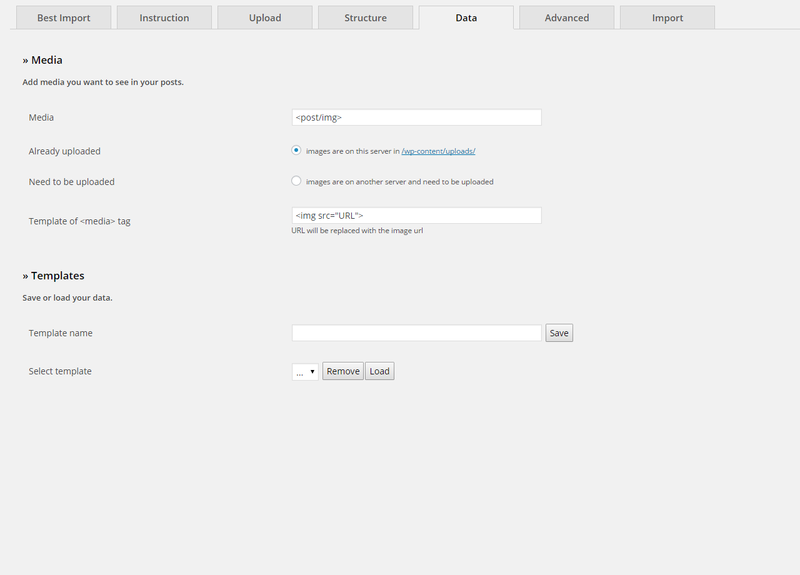 import data from XML file to wordpress, to any theme! Let's see what it can do! 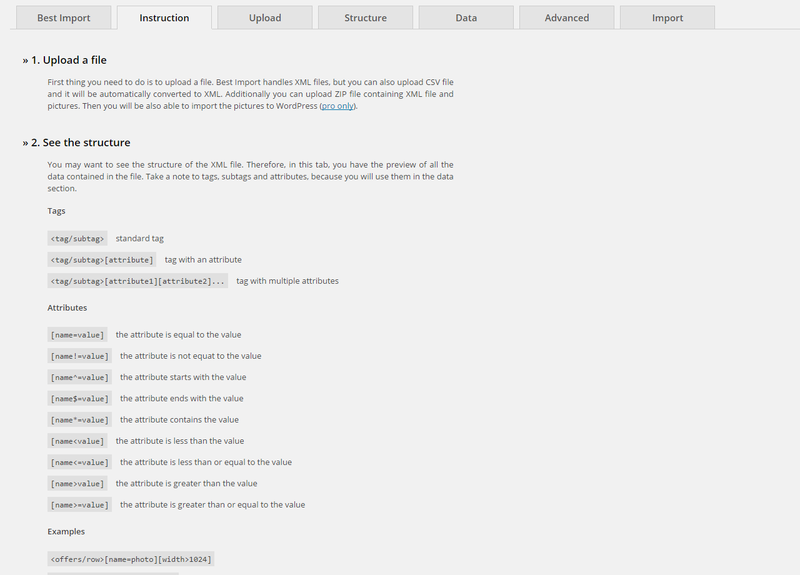 "Wordpress import XML"! This is home screen of Best Import. Detailed instruction for how to use Best Import. You can upload the file from your computer and import images from a ZIP file if you want. You can see clear preview of the XML file, every row/tag is viewed as you see on the screenshot. Basic data to fill in. 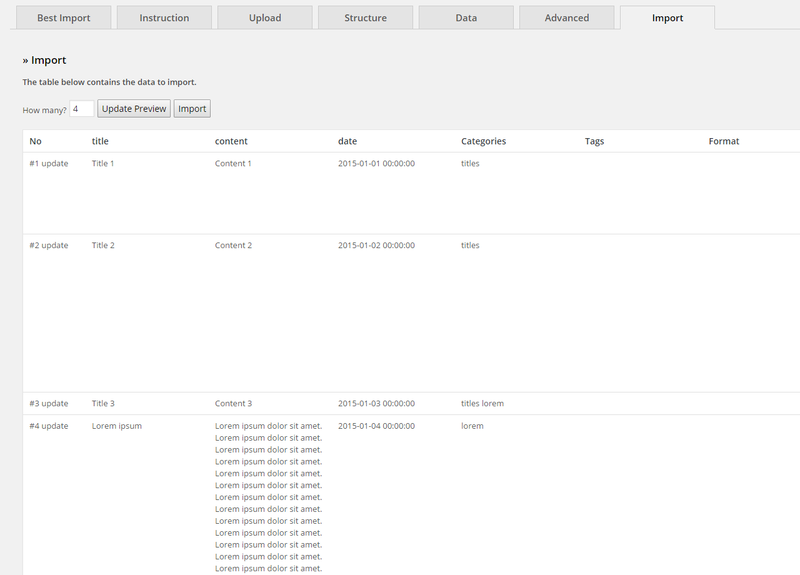 Taxonomies are detected automatically. 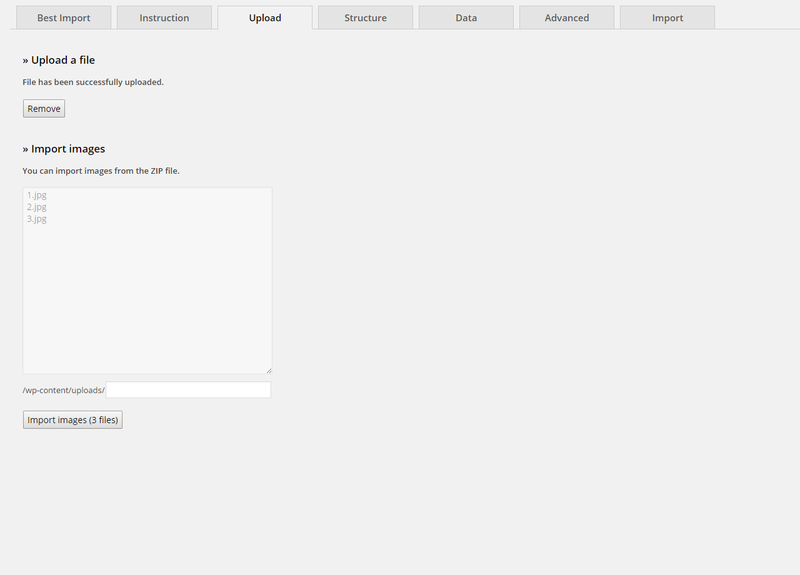 You can import also media or save templates of the data to use it again later. 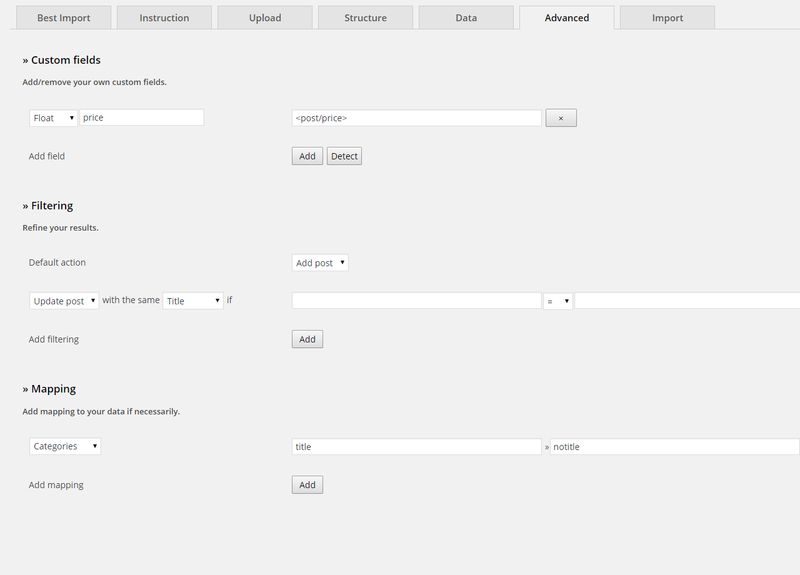 Advanced options such as: custom fields, filtering and mapping. Final preview of the data to import. 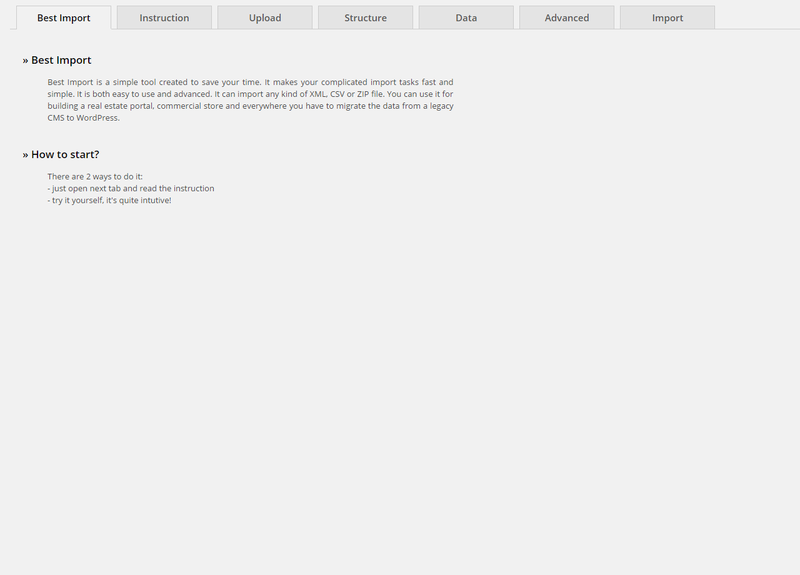 Best Import Pro lets me import products from XML to WordPress without any problem. When I had issues with use, support precisely explained me how to use the plugin. I would recommend this product. I had choice to use more expensive programs and not so intuitive as Best Import. The plugin surprised me by its price and quality. I used Best Import Pro to build real estate portal. CRON let me update the site every day. I didn’t need any support, I managed to do everything by myself. I think that our product has everything you need while moving data from XML to WordPress, but we actively react on every user’s and client’s suggestions. If you have any idea how to improve our product – just write us – we will do our best. Best Import is copyrighted by Zefir Studio, and are licensed to you under the GPL V2. Our support access is limited to a single person or organization. 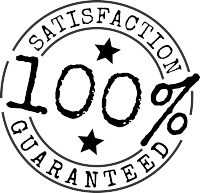 Best Import is offered “as is” and without warranty, even the implied warranty of merchantability or fitness for a particular purpose. We suggest you make regular backups of your site (just for safety, so far we haven't heard of any issues). Zefir Studio and its associates, partners, employees shall not be held liable for any damages or loss of data resulting from the use of our products. Your continued use of our support or receipt of upgrades after the date of change constitutes your acceptance of any and all changes to this agreement. Aren't you sure if the plugin will work properly with your data? Contact us! 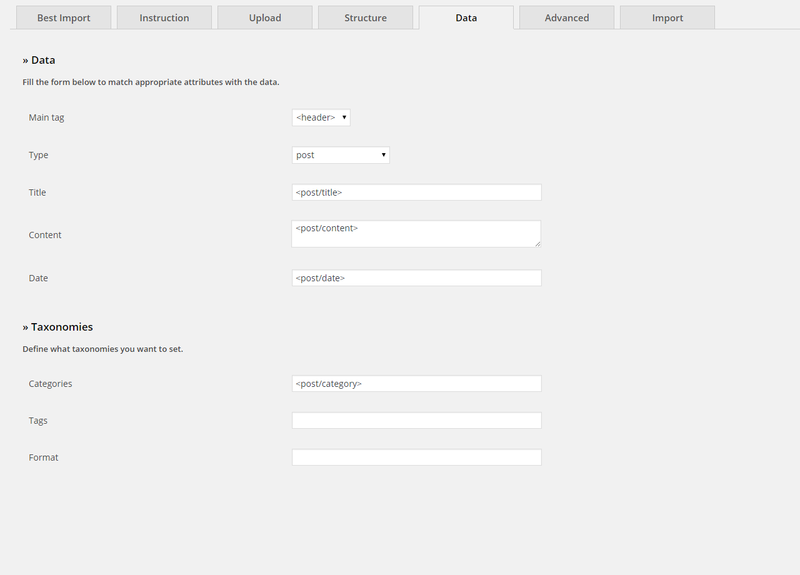 Import data to WordPress Custom Fields. Do you create online shop or real estate portal? Refine each detail! Import images and insert them to your post to raise sales and make them more attractive. You will get every new update for free! We constantly analyze and check what is worth to improve in our products. Technical support via e-mail. Do you need any help? Contact us, your satisfaction is our priority. © 2015 ZEFIR STUDIO. All Rights Reserved.